Howdy y’all. Again, it seems a great deal of time has passed since I posted something here. Hopefully all you lovely readers have been reading Off The Clock, my weekly webcomic, you can get there via the link on the right side of this page! 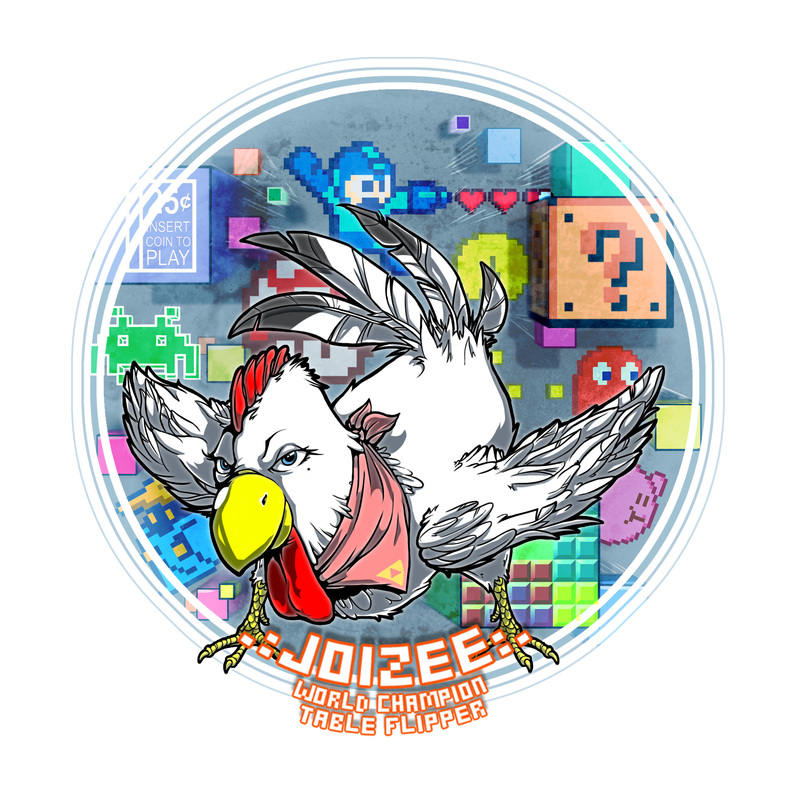 In other business, I have done a few illustrations for various groups lately, including the chicken below, a commission for Joizee, an internet video game commentator. I’ve had this one finished for a while, only just getting around to posting it. Others will be coming down the road. Come July, I’ll be attending San Diego Comic Con once again to try my hand in the professional comic pool. I’ll have more work from that event posted as it gets closer.